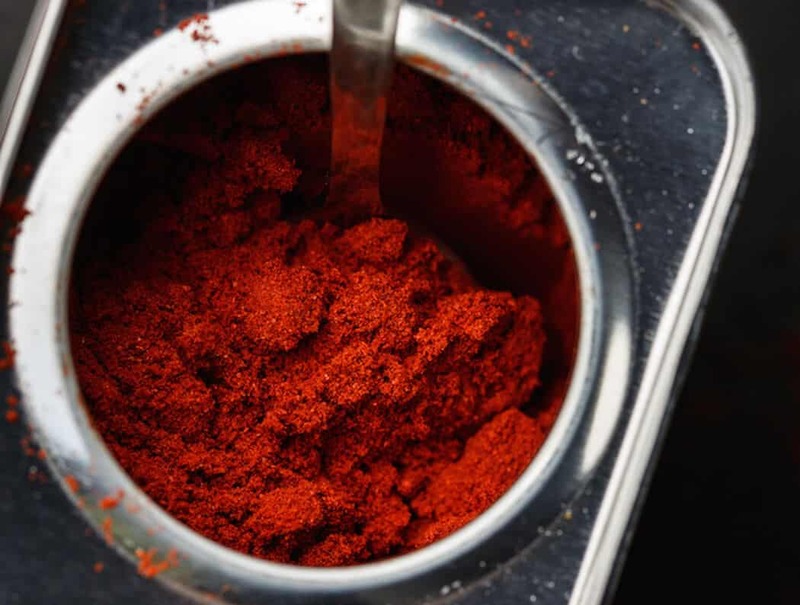 Paprika is a spice that consists of dried and ground chili peppers that originate in central Mexico. The name “paprika” is Hungarian and its root is in the Greek “peperi” and in the Latin “piper” both of which refer to pepper. The peppers used to make paprika made their way to Hungary after Christopher Columbus brought them to Europe. From Spain, cultivation of the peppers spread to the South of France and to England. In Hungary and elsewhere throughout Europe, the pepper plants were first used as decorative houseplants. The Turks would later introduce paprika as a spice to the Balkan Peninsula in the 18th century when the Balkans were under Ottoman rule. 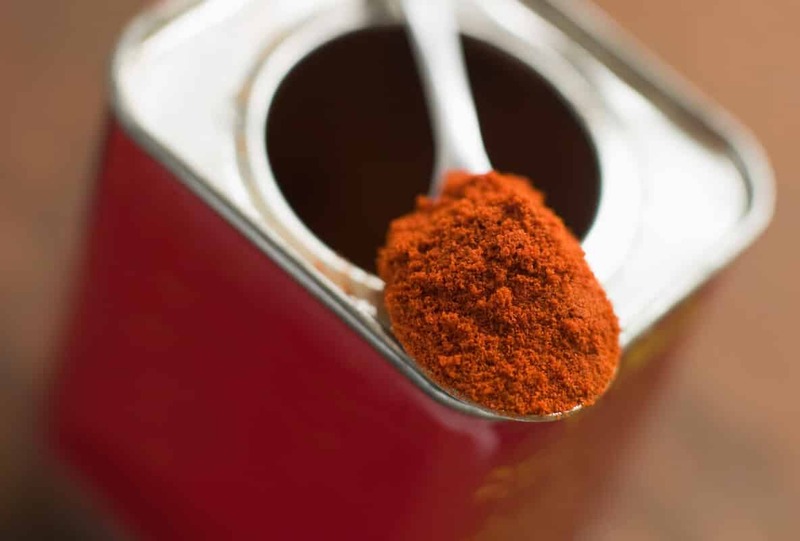 Hungarians previously used paprika but as a medicine for treating typhus, not as a spice. The peppers would afterward be cultivated there. The climate of the Kalocsa and Szeged region would prove ideal for growing the peppers. That climate is what gives Hungarian paprika its distinctive character. Until the 1920s, the paprika from central Europe was hot. It was at this point that a sweet plant was grafted onto other plants to make the paprika from this part of the world sweet. There is a great deal of variation in the flavor profiles of different types of paprika. The spice can range in flavor from mild and sweet to very hot. There are also smoky Spanish paprikas, which have become popular among chefs in recent years. Sweet paprika has no heat, just the flavor of ripe peppers. Sweet paprika is ideal for anyone who wants to add pepper flavor to their food but without the heat. The hot varieties carry heat similar to cayenne but a more complex flavor. Smoked paprikas get their flavor from the peppers being first sun-dried then smoked over oak fires. Vitamin A: A single teaspoon of paprika has almost 40 percent of the daily recommended intake of vitamin A. The vitamin A group includes carotenoids, which are effective antioxidants. 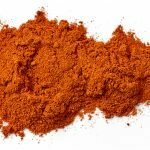 Paprika contains beta-cryptoxanthin and beta-carotene, two carotenoids that are beneficial for vision and for skin health. Carotenoids also help to protect cells from the damage that can lead to heart disease and arthritis. 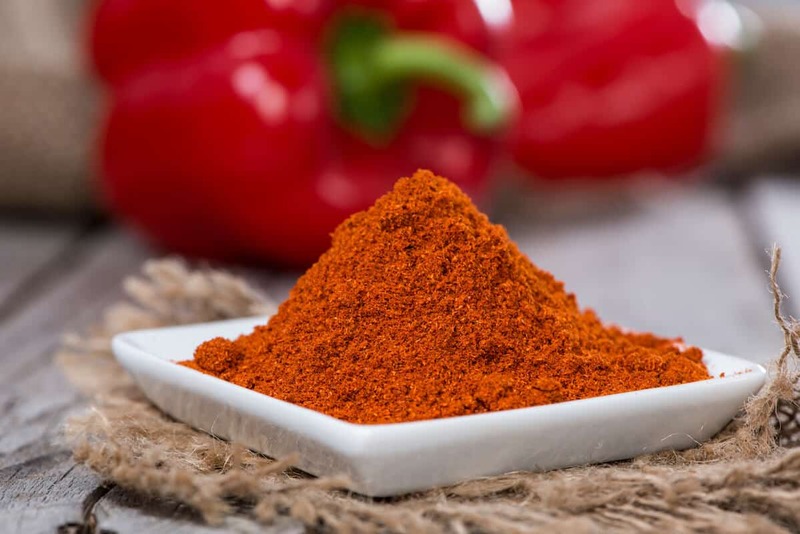 In addition, paprika contains the carotenoids lutein and zeaxanthin. Lutein and zeaxanthin help to reduce the risk of developing age-related macular degeneration. Vitamin E: You can get 5 percent of your daily vitamin E requirement from one teaspoon of paprika. This antioxidant is important for protecting the fats in your body from free radicals. They can reduce the risk of inflammation that causes heart disease. Capsaicin: A number of studies have shown capsaicin to have anti-cancer, antioxidant and anti-inflammatory effects. Capsaicin is the compound that gives hot peppers their heat. When it comes to Hungarian cuisine, paprika is known for its starring roles in dishes like chicken paprikash and goulash. When making these dishes, it is best to use the traditional Hungarian varieties of paprika rather than the smoked Spanish varieties. In the west, paprika is used for everything from adding color to deviled eggs and potato salads to barbecue rubs. In Spain, chefs use smoked paprika to give a smoked flavor to food. It is a traditional accompaniment for octopus and various stews. Smoked paprika is also an important flavoring for many Spanish sausages.